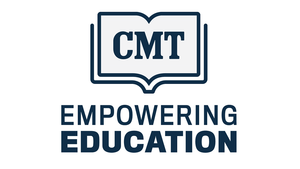 "CMT Empowering Education" is a comprehensive educational campaign that provides an online resource, CMTEMPOWERINGEDUCATION.COM, to aid CMT viewers in overcoming the most common perceived obstacles to furthering education. The site will aggregate the multitude of existing, quality information, in one easy-to-navigate, central location, creating an individualized education action plan for each user. "CMT Empowering Education" supports Viacom’s overarching GET SCHOOLED initiative, a national platform that connects, inspires and mobilizes people - from policymakers and corporate leaders to communities and kids - to find effective solutions to the problems facing our education system. CMTEmpoweringEducation.com serves as a gateway to all of the crucial information anyone needs to take the next step to further his or her education from how to finance your education, to a basic timeline for applying to school, to a multitude of scholarship resources. The site also illustrates the variety of options available for completing one’s education that accommodate an individual’s lifestyle and existing commitments. Additionally, the site provides inspiration and relevant information to help users overcome the perceived roadblocks they believe prevent them from being able to finish their education. Finally, the site focuses on illustrating how obtaining an education is directly linked to quality of life. 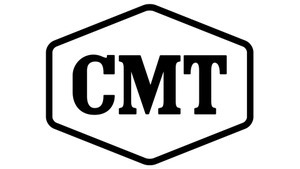 "CMT Empowering Education" is a result of the network’s partnership with the Gates Foundation, as part of Viacom’s Get Schooled initiative. Advising partners for the Empowering Education campaign include Achieving the Dream; Alltuition; Association of Career & Technical Education; Bill & Melinda Gates Foundation; Center for Workforce & Economic Development; American Association of Community Colleges; National Skills Coalition and Skills for America's Future, The Aspen Institute.